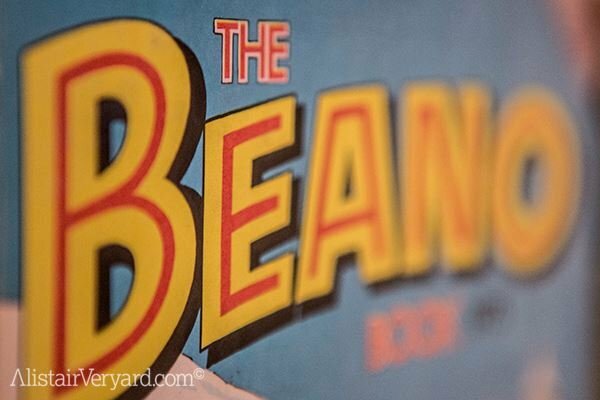 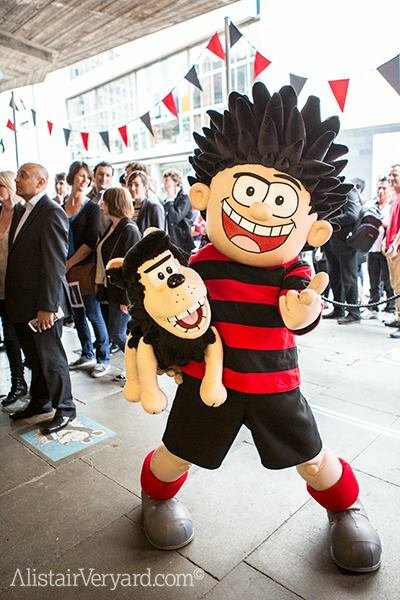 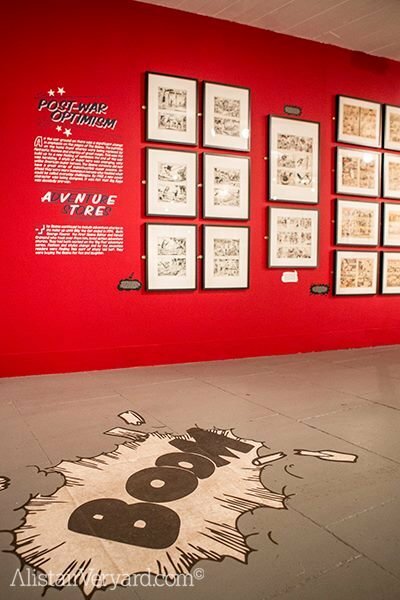 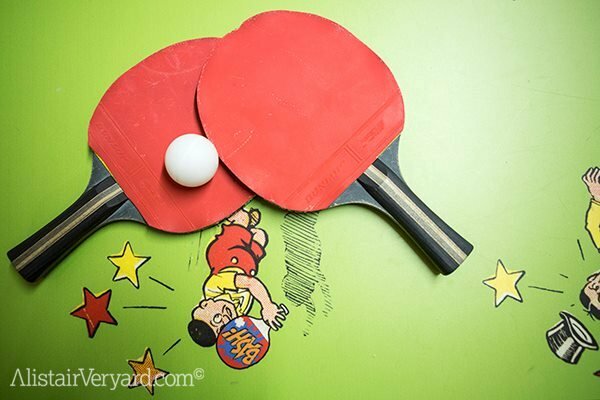 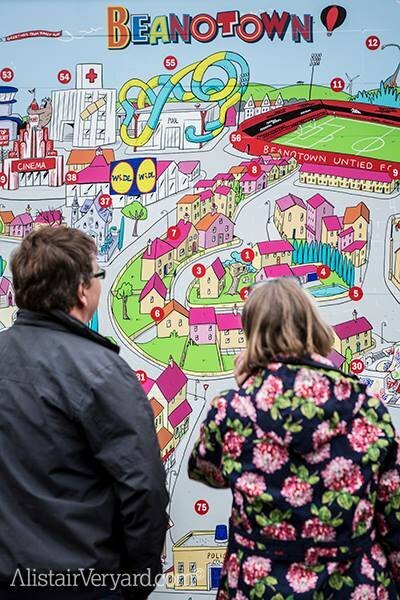 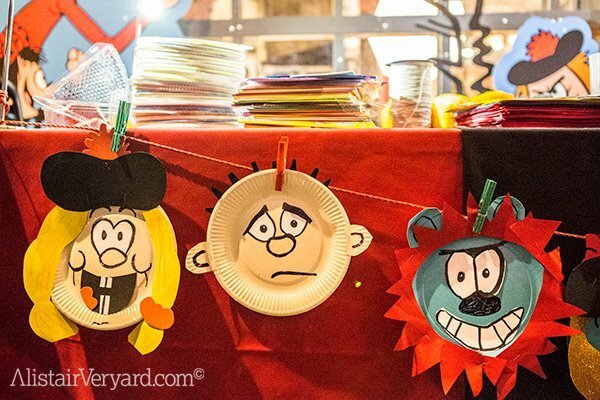 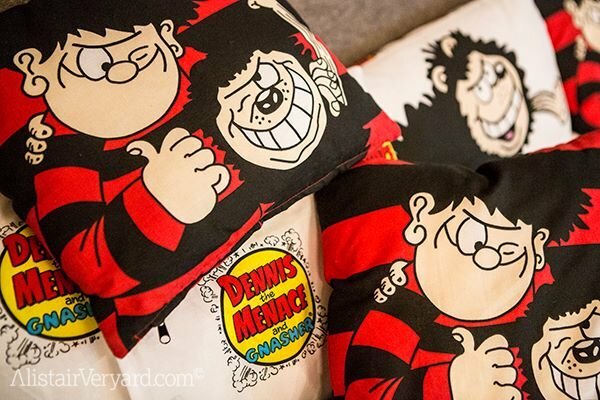 In collaboration with Beano publishers DC Thomson and Southbank Centre, we created Beanotown, a riotous installation, exhibition, club, library, cafe and arcade all rolled into one charting the comic's 75-year history. 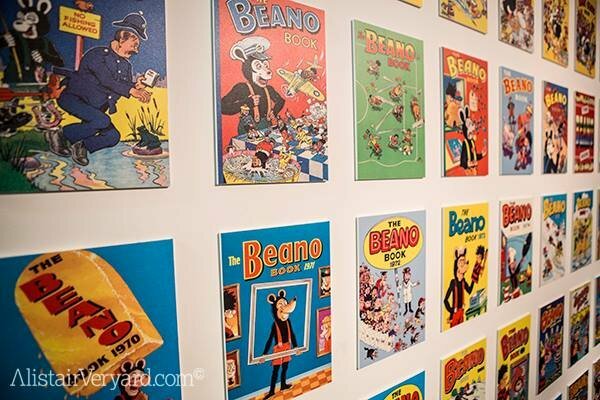 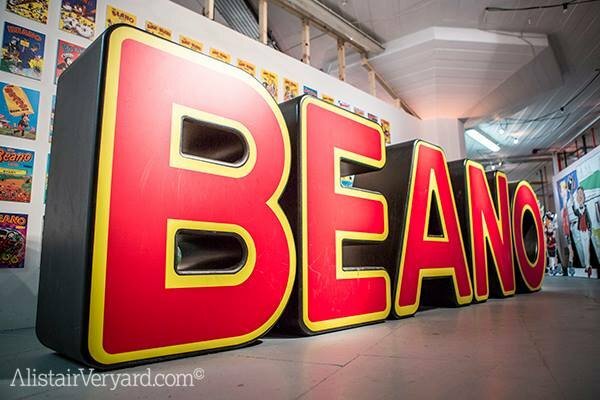 There were opportunities to discover the story of The Beano since 1938 (with precious archival treasures on display for the first time); swot up at the Ultimate Prank Academy; tuck into a slap-up feed with a personalised Beano toastie (including jam and cheese and pickle and Marmite), shark infested custard and rice crispie cakes with added snap, crackle and poop; re-read your favourite annual ever in The Beanotown Library of Laughs; grab a piece of Beano history in the special shop with exclusive new products; and snap yourself, dressed as your favourite character, in the Beanotown photo booth; enjoy a game Table Dennis (Beano customised table tennis! 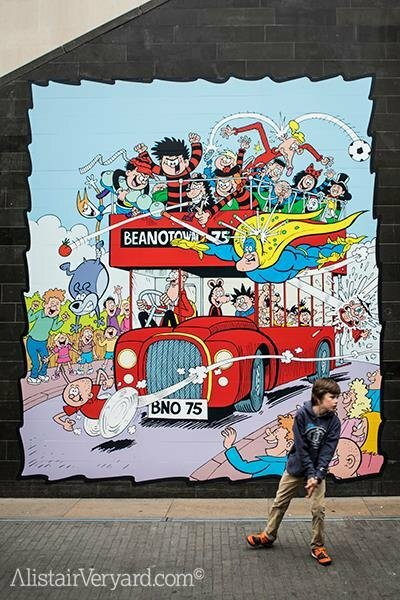 ); fire plastic missiles at inappropriately suitable targets - "Imagine this is your teacher's bum”. 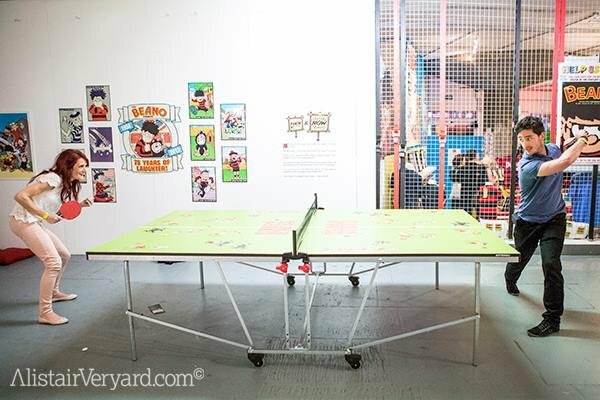 It was an incredible success, and as a design team, we couldn’t have enjoyed ourselves more. 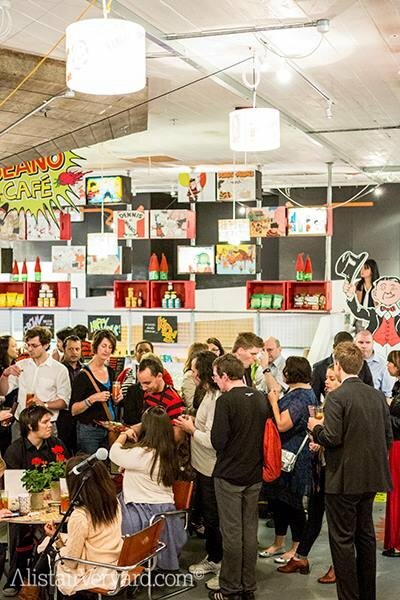 The Guardian ran not one, but two wonderful pieces on the event, which you can read here and here.